With race wins, British titles and World Half Marathon Champs places all to run for, the Lloyds Bank Cardiff Half Marathon saw some top competition on Sunday (October 4). While Uganda’s Ben Siwa enjoyed a dominant victory in the men’s race, there was a brilliant battle behind him for the runner-up spot, while the women’s race also came down to a sprint finish, with Kenya’s Lenah Jerotich edging ahead in the final stages to take the title. Ryan McLeod successfully defended his British half-marathon title, while Jess Coulson (pictured) had a superb debut over 13.1 miles, reeling in Jerotich and eventual runner-up Damaris Kemunto Areba to challenge them for victory and finish third. 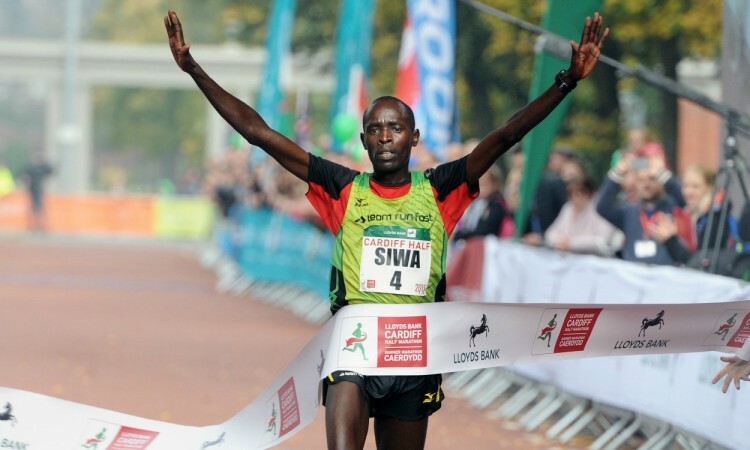 Last year’s third-placed Siwa had made his intentions clear from the start and running alone he left Kenyans Gideon Kimosop and Dan Tanui plus Ethiopia’s Assefa Bekele, making his half-marathon debut, to fight for the remaining podium places. Siwa remained strong and crossed the line with 62:06 on the clock to secure victory by more than a minute. Behind him, all those in the chasing group remained in contention for the runner-up spot until the final moments, Kimosop just getting it in 63:09 ahead of Bekele, who clocked the same time, and Tanui with 63:11. Welshman Dewi Griffiths had been making the most of the local support but running a well-judged race, McLeod came through to beat him to the British title and finish fifth overall, clocking 64:17, while Griffiths was just behind him and clocked 64:27 to win the Welsh title and also finish inside the 65:00 qualifying time for next year’s IAAF World Half Marathon Championships. The Cardiff Half will also host next year’s world event and the race acted as the British trial. The first two athletes with either of the half-marathon or marathon qualifying standards –65:00 (men) and 74:00 (women) or 2:16:00 (men) and 2:35:00 (women) – will automatically be picked, provided they are also able to show form next spring before selection. 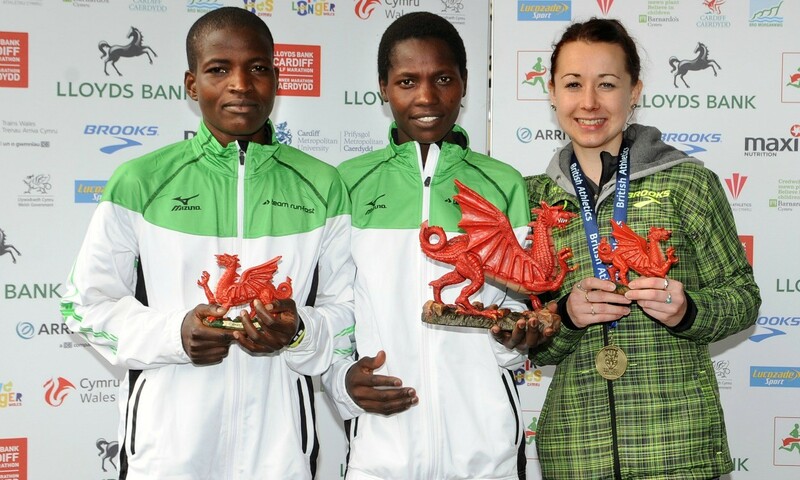 Also within the qualifying time was 2012 European under-23 cross-country champion Coulson, who ran her own race before closing the gap on long-time leaders Jerotich and Kemunto Areba, who clocked 71:29 and 71:31 respectively. The Briton clocked 71:34 after a sprint, a time that puts her fourth on this year’s UK rankings, to claim the British title in style. A little further back, Bristol’s Jenny Spink improved on her third place in the British Championships last year by finishing fourth overall and second to Coulson, clocking 73:00 to also better the World Half qualifying mark and record a big PB. Richie Powell won the elite wheelchair race.